The WrestleMania main event was botched and there is no denying that fact. It appears WWE has dealt with this issue and determined that the referee was to blame. 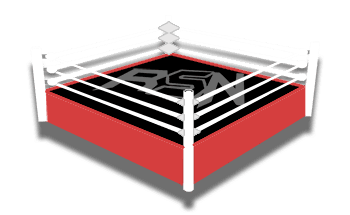 Fightful Select reports that there was initially heat on WWE referee Rod Zapata after the main event, but it was said to have died down on the night of the show of shows. Then he was pulled aside by Vince McMahon when he got to RAW on the night after WrestleMania. McMahon had a conversation with the referee and explained to him how he messed up and what he should have done. Essentially, the count should have been stopped because WWE tells their referees to officiate matches as if they are a shoot. Therefore, it made zero sense to keep counting when Ronda Rousey’s shoulder was clearly up. He should have at least stopped his count and waited for Rousey’s shoulder to be on the mat before starting again. It is reported that Zapata was fined for this mistake although an amount was not disclosed. Another option given was the match should have carried on and they needed to work up a finish on the fly. The concern was that Ronda Rousey had rehearsed this match and the finish was there with no Plan B.
Vince reportedly told Zapata that the match should have continued and if the Superstars messed up then it would have been on them.